The safe, smart way to de-lime water-using equipment. 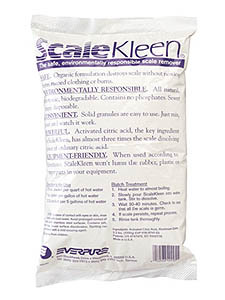 Removes limescale build-up quickly, easily and safely in an environmentally friendly manner. Restores equipment to peak efficiency. Highly effective, nontoxic, FDA-approved food grade material. Safe to handle.